In technical terms, monounsaturated fats are those with only one double bonded carbon in the molecule. In layman's terms, monounsaturated fats are those that are "good" fats and can positively impact health. At a level of 25-35 percent of daily consumption, when switched out for "bad" fats like saturated and trans fats, monounsaturated fats can reduce the risk of heart disease and stroke as well as decrease "bad" cholesterol. Liquid at room temperature, while solidifying when chilled, monounsaturated fats are typically high in vitamin E which is a vitamin that Americans tend to need. Many health conditions can be improved by incorporating these foods into the diet in moderation. Monounsaturated fats help to raise the good cholesterol while lessening the bad cholesterol. By consuming more healthy "good" fats, individuals can dramatically reduce the risk of developing heart disease, a top killer in the United States. Instances of cancers such as breast and colon cancer seem to be lessened with a greater intake of monounsaturated fats, in contrast to consuming "bad" fats. Antioxidant vitamin E helps to stimulate growth, restore cells, and fight against free radicals in the body. Many Americans have a deficiency of vitamin E; but, by consuming healthier fats, that deficiency can be reversed. Studies suggest that the consumption of "bad" fats can contribute to weight gain in the midsection; but, consuming monounsaturated fats could contribute to a loss of fat in that part of the body. While there are many health benefits to changing one's diet to incorporate more monounsaturated fat, it is important that there should be a switch from foods with other types of fat to monounsaturated fats, not an addition of more fat into the diet. Fats should compose no more than 30% of all food consumption each day. Instead of butter - Use refrigerated olive oil or avocado as a spread. 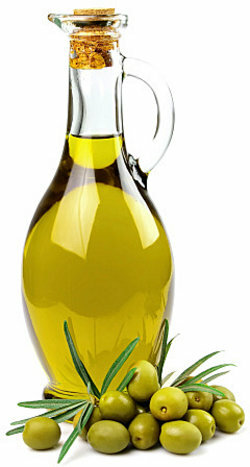 Instead of cooking with vegetable oil or shortening - Use an oil like olive oil or safflower oil. Instead of snacking on chips or crackers - Try seeds or nuts. Instead of high fat proteins for breakfast - Try ready made granola. Instead of chips and cream based dips - Try vegetables with hummus which contains heart health tahini. Instead of high fat ice cream - Try a few pieces of dark chocolate for dessert. Now you have seen lots of different examples of monounsaturated fats and learned about their impact on your health. "Monounsaturated Fat Examples." YourDictionary, n.d. Web. 18 April 2019. <https://examples.yourdictionary.com/monounsaturated-fat-examples.html>. In technical terms, monounsaturated fats are those with only one double bonded carbon in the molecule. In layman’s terms, monounsaturated fats are those that are “good” fats and can positively impact health.At a level of 25-35 percent of daily consumption, when switched out for “bad” fats like saturated and trans fats, monounsaturated fats can reduce the risk of heart disease and stroke as well as decrease “bad” cholesterol.Liquid at room temperature, while solidifying when chilled, monounsaturated fats are typically high in vitamin E which is a vitamin that Americans tend to need.